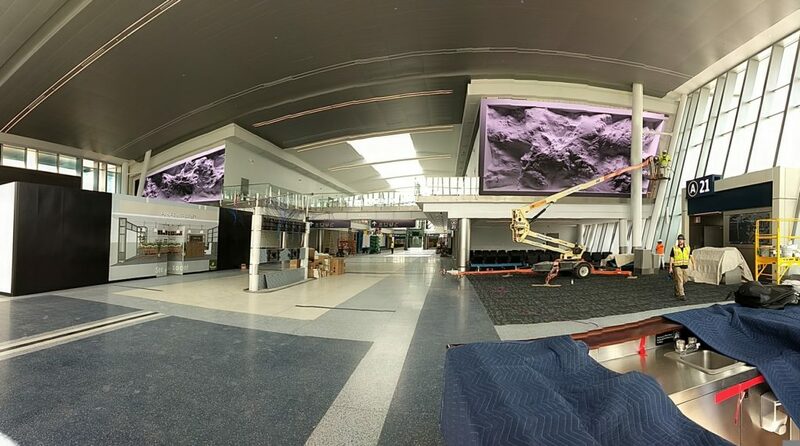 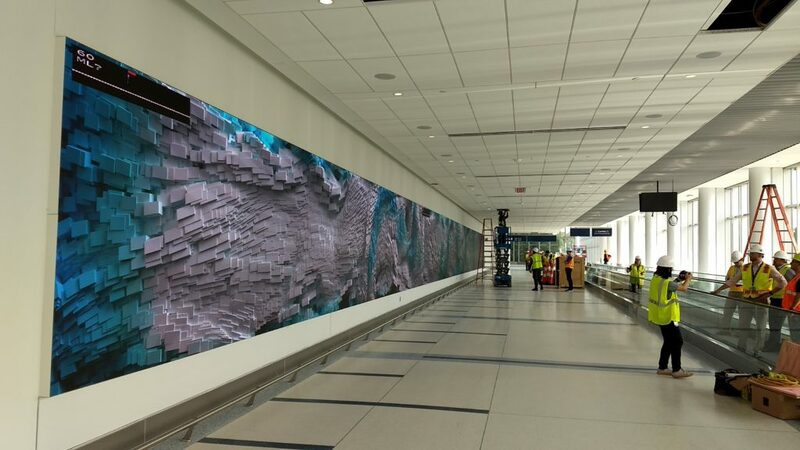 Cenero worked to create large LED Video Walls as part of the $200 million 23,000 square foot expansion of Concourse A of the Charlotte Airport. 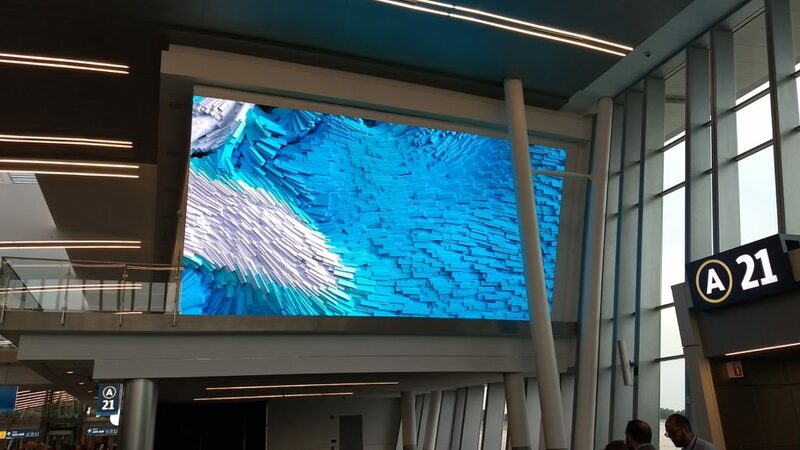 The impressive 10 feet high and 140 feet long LED wall as well as two 40 feet video walls feature digital artwork from artist Refik Anadol. 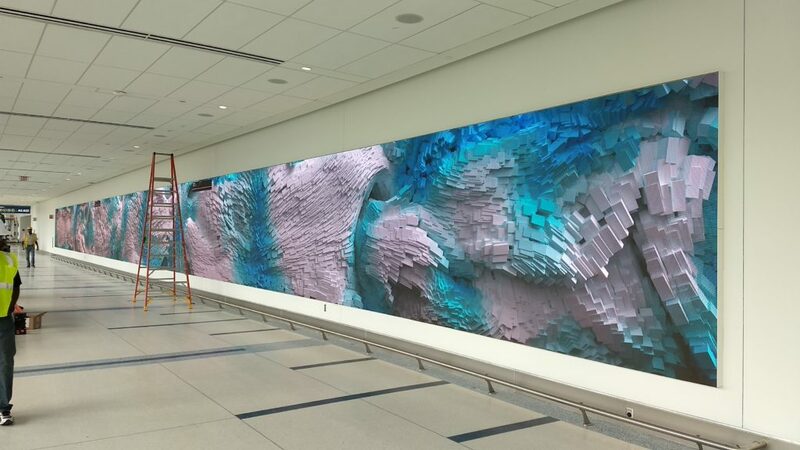 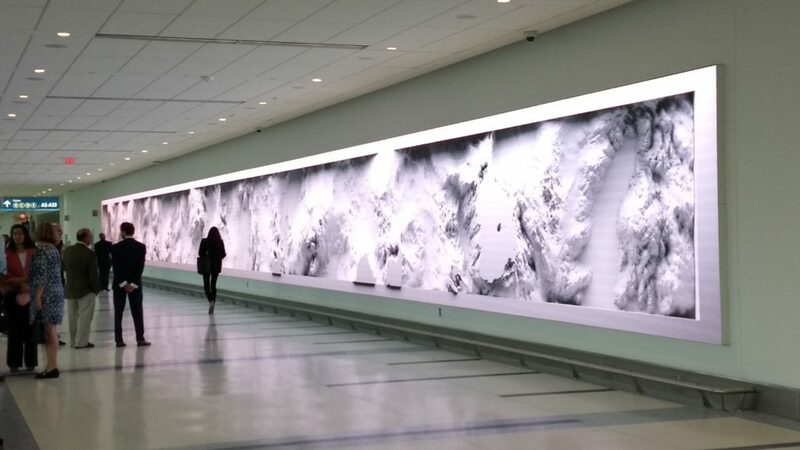 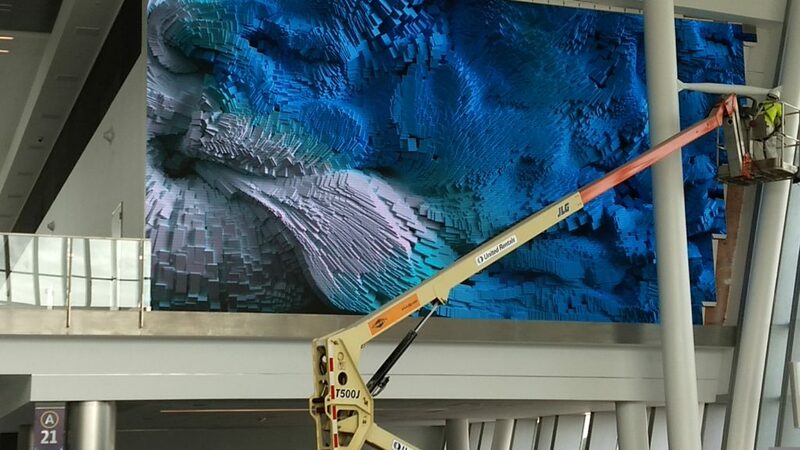 The art is described as dynamic abstract visualization, turning operational data from the airport such as arrivals, departures, destinations, baggage claim and more into abstract form, color and simulated texture that moves across the screens.